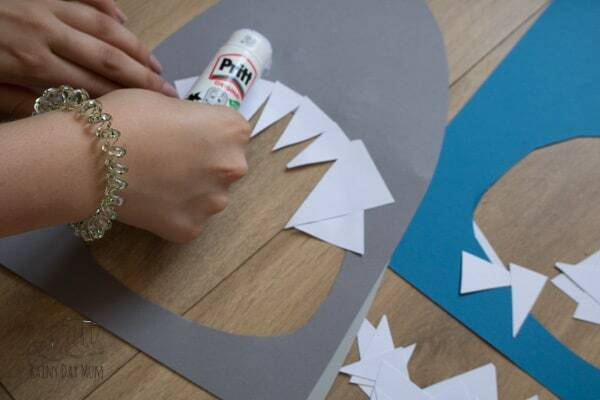 For the final activities for our Ocean week for Storybook Summer here on Rainy Day Mum we have a fun DIY game that you can create for your kids that is also great for Shark Week at the end of July. 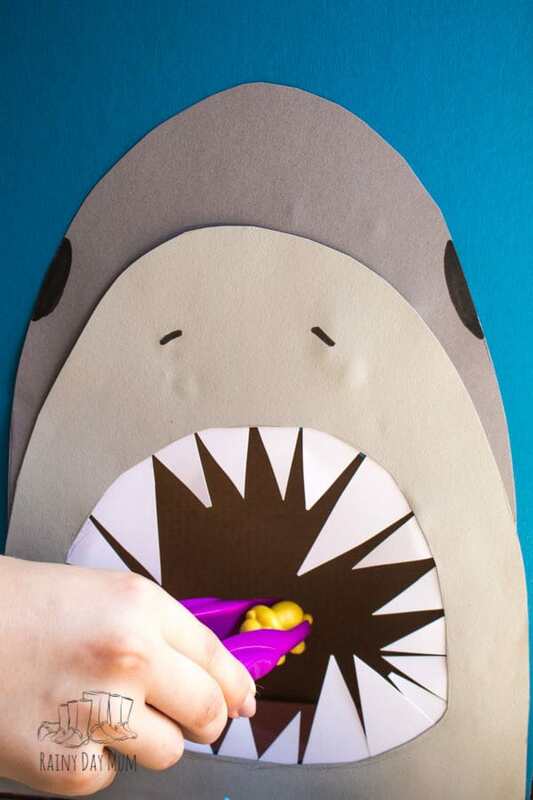 This Feed the Shark Game can be used for counting, fine motor skills work, posting letters and any number of ideas that you could feed the shark. 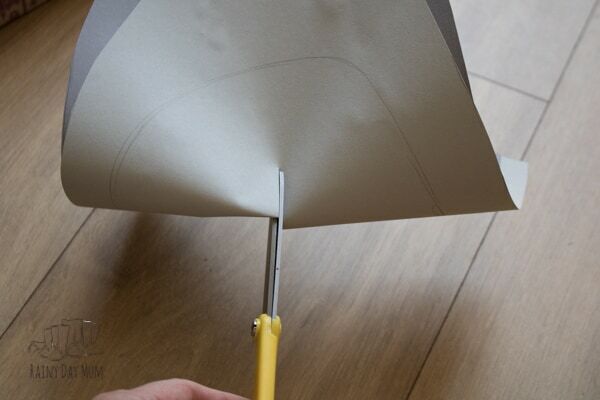 So here it is how to make this simple DIY Feed the Shark Game for your kids. 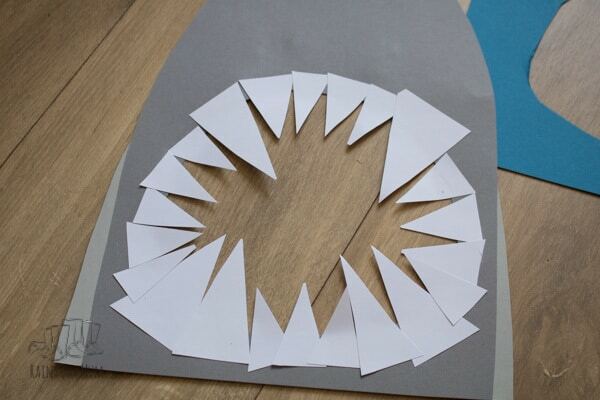 We have included links to the books and resources we used to make this DIY Game. If you buy via these links we may earn a small commission. Of the Ocean books we have at home one of our favourites is Commotion in the Ocean by Giles Andreae it’s a collection of poetry about the animals in the ocean and of course one of the featured animals is a Shark although there are lost of others including Whales, Sea Turtles and even the deep sea Angler Fish. As it’s poems rather than a full story we can quickly read a specific poem about one of the animals in the book and then get creating, playing or learning with an activity featuring that animal. 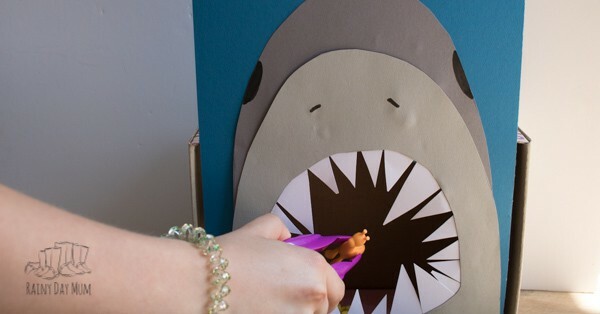 So this Shark feeding game is ideal for making and playing after you have read the shark poem. There are so many ways to use this game as one of the easiest is to use it to count out the animals that you feed the shark. 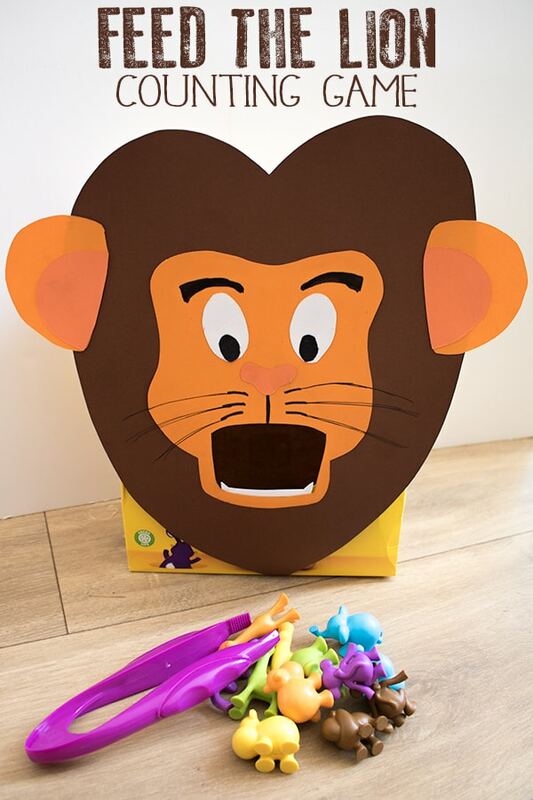 We used a set of animals counters as it what we have around the house, however, if you frequently do Ocean Units or have under the sea mad preschoolers then you should check out the set of Ocean Counters by Learning Resources as they would be ideal to use for any of the activities that week. 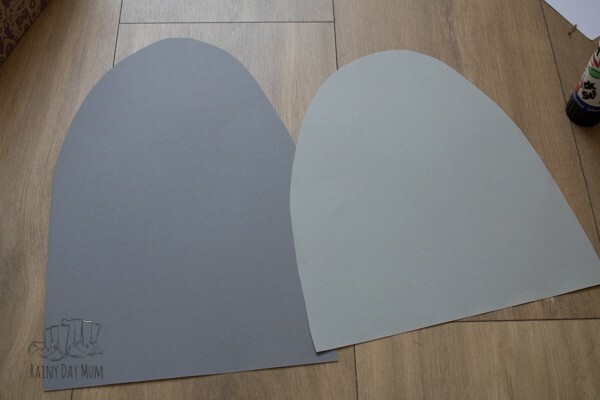 Shark by drawing a half oval on the lightest grey of cardstock. Cut this out and lay onto the dark grey cardstock. 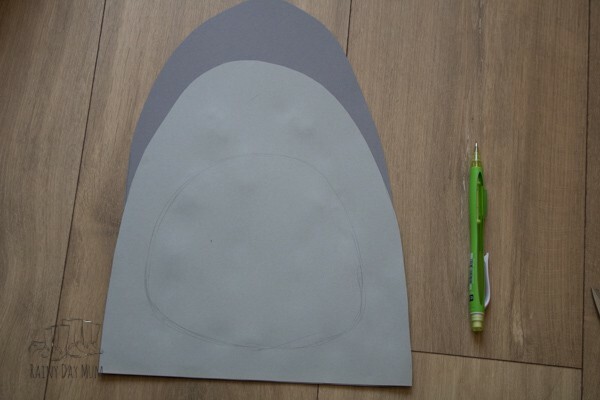 Draw a larger oval above the lighter grey and cut out. Draw a mouth shape similar to the final version (scroll down to see) in the middle. 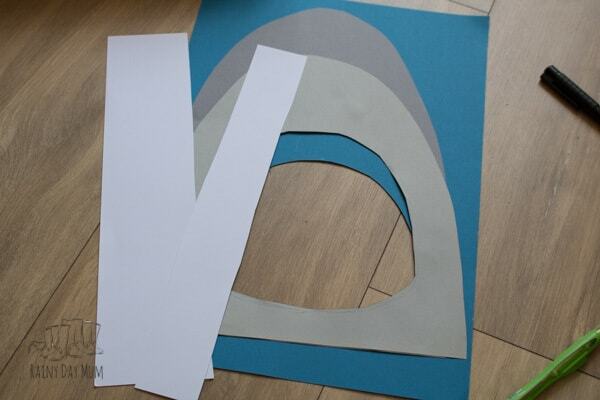 Then cut this out. 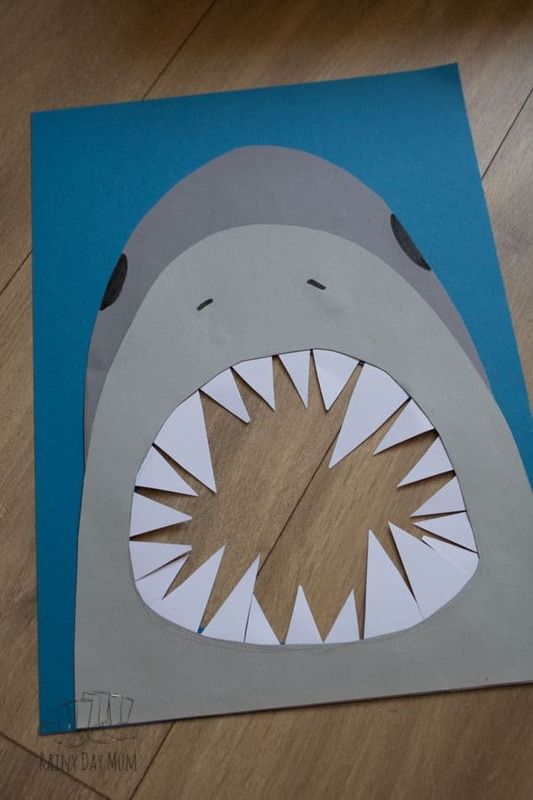 You may find it easier to cut out if you fold gently the shark face and make a snip and then go out from that point to cut it out. 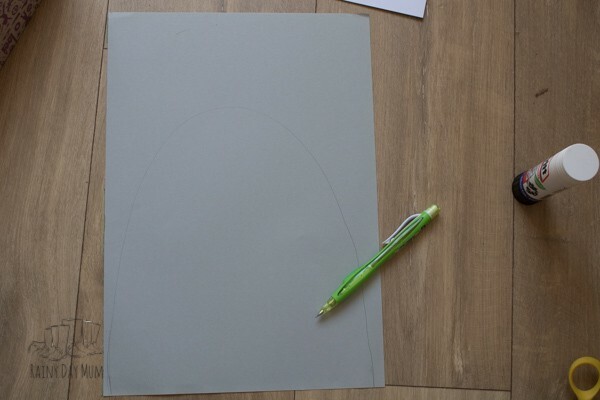 Lay this on the larger blue cardstock and draw and cut out the mouth from there as well. Taking your white card cut 2 different sized strips from it. 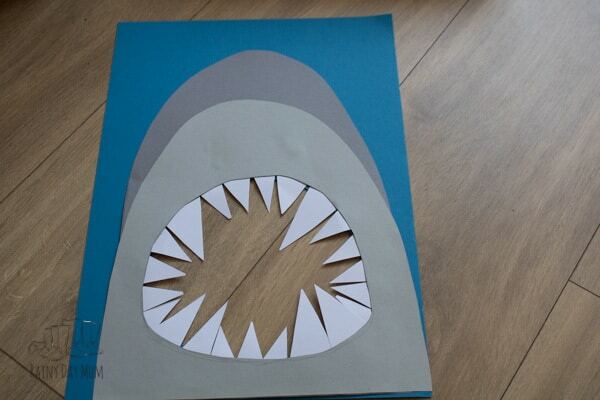 Now cut this into triangles to form the teeth. 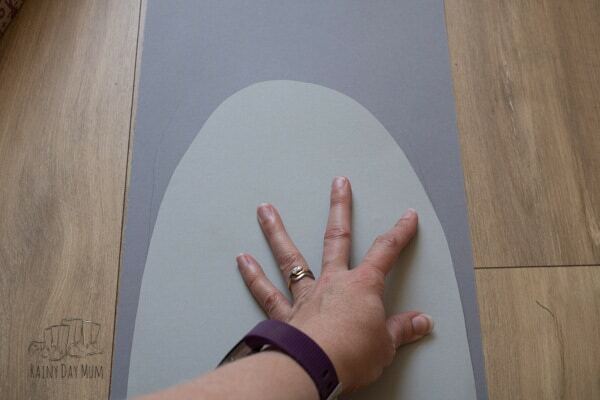 Onto the back of the shark (where you only see the large dark grey) stick the triangles for the teeth. 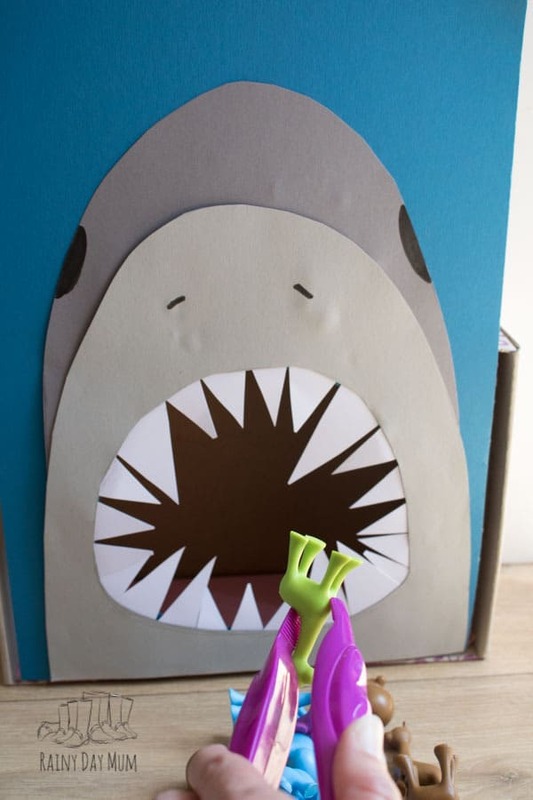 Once you have the teeth in place glue the shark to the blue cardstock and now you need to attach to the shoe box. 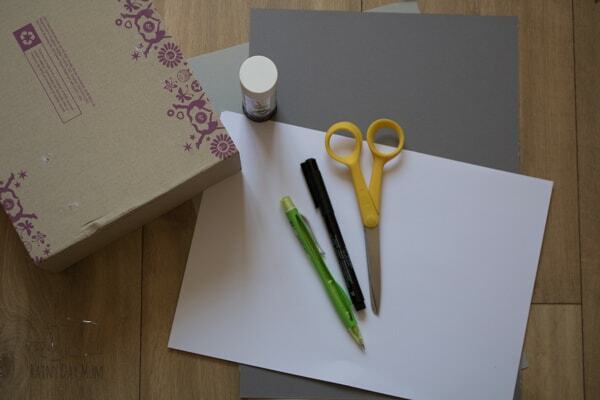 With the shoebox open attach the blue cardstock to the bottom edge with sticky tape. Then secure it with more sticky tape at the top. You’re now ready to feed the shark. Using counters and a set of tongs roll a die and then count how many animals the shark eats write this down and then roll again. Count these into the sharks mouth feeding it with the tongs and then add the numbers together. 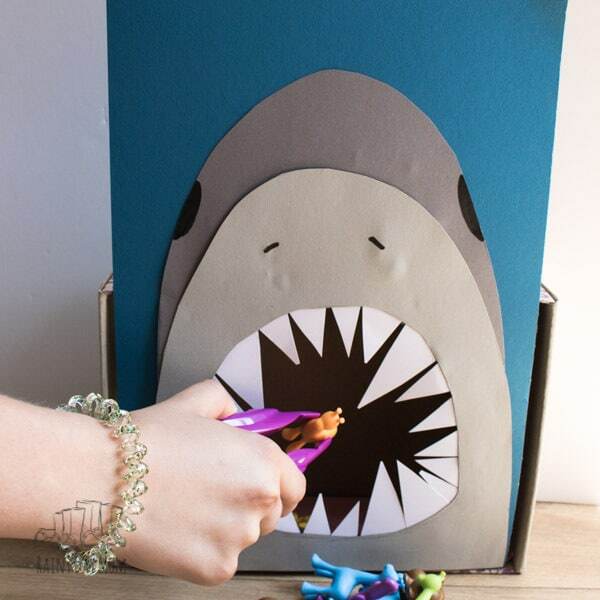 Collect objects of a similar colour and add those to the sharks mouth. 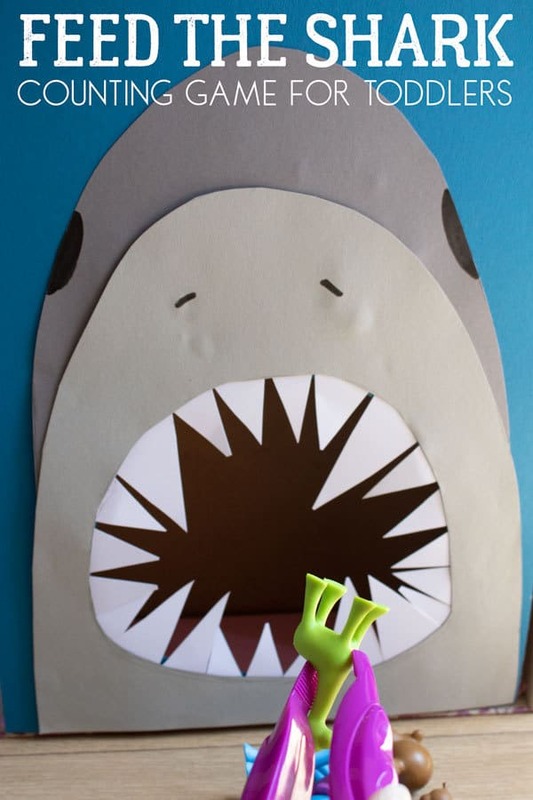 When working on letters why not use a set of magnetic letters and ask your preschooler to feed the shark all of the letter S for Shark or something similar.